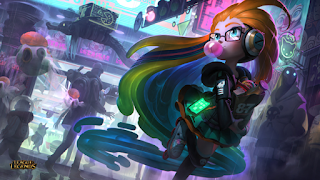 Zoe's made quite a splash onto the Rift in her debut, and players are quickly learning to enjoy (or hate) her whimsical ways. Meanwhile, despite the Summon Aery nerfs most champions that can abuse it are still extremely strong, namely Malzahar and Teemo. Lastly, Leona and Ezreal are dominating the Rift even more than before (if that was even possible). Ezreal [God Tier Mid] - No nerfs on Ezreal this time around, and it seems like Riot wanted him to enjoy the top of the pecking order for a little while longer. By running Kleptomancy, Ezreal can generate extraordinary amounts of gold and eventually obnoxious amounts of damage. Leona [God Tier Support] - Leona in her current form is incredibly strong. Her damage is off the charts, and running the Precision tree makes it extremely safe for her to just go all-in whenever she pleases. As long as the enemy summoner spells are down, landing an E on a squshy target is almost a guaranteed kill or back as long as your marksman in lane manages to proc your passive in between spells. Malzahar [God Tier Mid] - Malzahar happens to be incredibly strong right now, and extremely easy to execute. Malefic Visions (E) also lasts four seconds, allowing you to double proc Summon Aery. Ornn [God Tier Top] - Riot gave Ornn a mid-patch buff last go-around, which means he's relatively under the radar for most players. However, high level players quickly discovered that he's super strong at the moment with an excellent laning phase and few unfavorable matchups. His ultimate is also an extremely potent form of engagement against nearly every champion and team. Teemo [God Tier Top] - Despite the nerf to Summon Aery, Teemo continues to be extremely dominant with it in the top lane. If anything, he's stronger now that it's been nerfed for burst damage champions. Vayne [God Tier Marksman] - Press the Attack is incredibly strong on Vayne, and allows her to absolutely shred squishies. While she's not as safe as Twitch due to her range, in a 1v1 scenario she still ends up nearly impossible to beat. Zed [God Tier Mid] - Zed is at that point where after dying a few times in a game to a good one, you're just tired of being popped without fighting back. Zoe [God Tier Mid] - Saving the best for last, let's talk about Zoe, the new champion. She's getting a lot of good reviews, but as a fairly difficult champion, mixed results. Her potential is insanely high as a result of the high variability in her kit, but it also results in somewhat of a difficult-to-predict champion for both the user and her teammates. In the hands of a Zoe main (which we'll no doubt have many of to come), she can certainly be devastating, but since we don't have any real mains right now, we'll just have to wait and see how far she can go. Zoe [Tier 2 Support] - Zoe support isn't nearly as strong as Zoe mid, especially since her utility is a bit random and difficult to predict as mentioned before.